Everyone loves driving home in one of the best resale value cars. These vehicles tend to be the most reliable, best performing, and contain the most innovative technology. For those who do not want to deal with the stress of a new vehicle, used cars are the best options. As a result, if you are looking for used cars, Las Vegas has numerous, high-quality options. But have you ever wondered what happens to the used cars at dealerships that don’t sell? 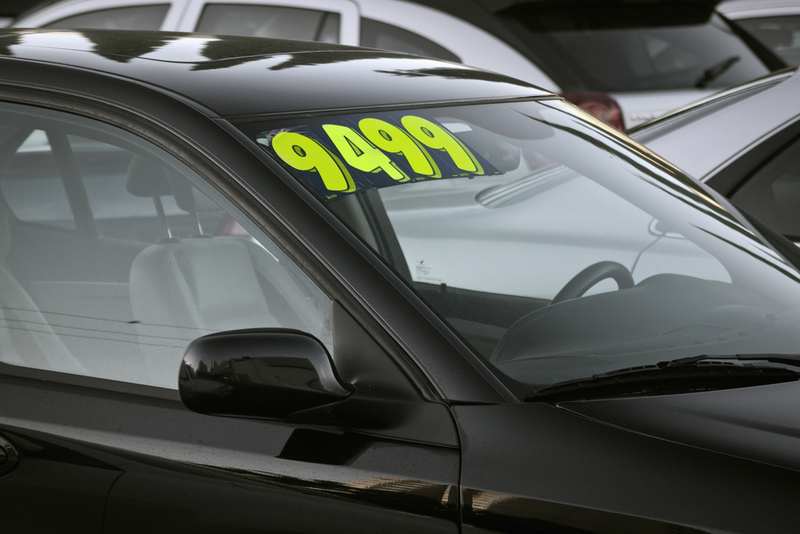 There are a ton of used cars sitting on lots right now, with some estimates placing this number in the millions. While most of them are going to sell, some of them are simply unappealing to buyers. Having a dud or a car that cannot sell wasting space at a dealership’s lot can eventually cost them a lot of money. After all, this is prime real estate, where dealerships could instead show off a car that is in demand. So what happens to these cars? How long do they sit on a lot before being declared unwanted? The first thing a dealership does when faced with a used car that is merely not selling is to lower the price. This price decrease may be substantial or modest, depending on how badly the dealership wants to get rid of the car. In most cases, price drops are advertised as well, drawing more attention to the vehicle. Over the car’s time on the lot, you may see several price drops, especially if prior ones drew no serious interest. Dealerships may also offer buyer incentives, such as service and maintenance packages or other types of compensation when the sale of the car goes through. These incentives are above and beyond those offered with other cars and are meant to draw buyers to that particular vehicle over all others on the lot. Once a dealership has exhausted the number of price drops they are able to provide, the car then goes to auction. In most cases, dealers sell these cars to auction houses rather than auction the vehicles off themselves. The title of the car is typically transferred directly to the auction house, removing any further involvement from the dealership. At the auction, buyers bid on cars on an “as is” basis. This means that whatever faults or flaws there may be with the car, the auction house nor the dealer are responsible. People who buy cars at auctions tend to be hobbyists who enjoy repair and restoration projects, those looking for parts, and those who resell these cars to buyers overseas. How Long Does the Car Wait on a Lot Before it Goes to Auction? Most dealerships have a general rule of dropping a price three times before unloading the car to an auction house, though this does vary depending on the factors above. For example, if the prices have dropped three times, but there is some buyer interest after the third drop, a dealership may be eager to negotiate a slightly lower price rather than go through an auction house. In some cases, vehicles are in too poor condition to be sold at auction. In situations like these, dealerships send the cars to a scrap yard. They tend to do this in bulk, as scrap yards tend to pay higher rates with larger volumes. This is the best way to recoup any losses incurred as a result of buying or allowing a customer to trade-in a dud. As mentioned, some used cars wind up overseas, purchased at auction by foreign buyers or companies that cater to foreign markets. Certain dealerships also participate in this type of car sale, reaching out to companies in other countries and arranging for the purchase of several American used cars. They can often get a much higher rate for the car using this method, as there are certain countries where American cars are rare and extremely popular. To find the top-rated resale value car brands, visit us at Reliable Auto Sales. Unlike the competition, we only carry the very best used cars, ensuring that our customers drive home in a reliable vehicle that suits their needs every time. Visit us online to see our vast selection or come down to the dealership to test drive one of these amazing cars today. Next story When is the best time to buy a pre-owned car?